All cigarettes will now look the same w/ plain packaging bill: Will this finally sink tobacco industry in Singapore? With the untimely deaths of over 2,000 Singaporeans annually from diseases linked to smoking, amendments to the Tobacco Bill were passed containing new restrictions on cigarette packaging and introduced to Singapore beginning 11 February. In this new regulation, all tobacco products will be sold in plain packaging – in a standardised colour and with all logos, brand images and promotional information deleted from its packets. health notices will have to be at least 25 per cent bigger than existing ones. A string of endeavours carried out in 2018 has turned the tide as the nation made significant steps in its crusade against tobacco. Aside from increasing excise taxes on all tobacco products in February 2018 to make the smoking habit become a financial burden, the Smoking Act was revised to make it more difficult for Singaporeans to smoke in public spaces. The government has additionally banned smoking in reservoirs and parks, compounds of independent universities and private educational institutions, and more recently, public areas within the Orchard Road precinct, which was implemented last Jan 1, 2019. Authorities also moved promptly to make smoking less pleasurable and accessible. The revision to the Tobacco Act now authorises graphic health warning labels on all tobacco product packaging. Amendments to the same Act had earlier banned point-of-sale display of tobacco products which strengthened Singapore’s comprehensive ban on tobacco advertisements, promotion and sponsorship implemented since 1971. A ban on the possession, purchase and use of imitation and alternative tobacco products also kicked in by February. This comes on top of earlier legislation prohibiting the import and sale of imitation tobacco products such as electronic nicotine delivery systems. Most significantly, the minimum legal age for the purchase of tobacco products has progressively been raised from 18 to 21. According to Mr Amrin Amin, Senior Parliamentary Secretary for the Ministry of Health, the government is aiming to bring the smoking rate to below 10% by 2020. In 1992, the rate was 18.3%, then dropped to 12% in 2004. Since then, it has hovered at 12% to 14%. In 2017, it was down to 12%, the lowest rate so far. The 2020 target had been set at 10% in 2012, but was revised to 12% in 2014. Speaking at a student engagement session last year, Mr Amrin described the 10% goal as “ambitious” and admitted that it was “somewhat of a stretch.” However, he was confident that the steps taken recently would help cut down the number of smokers. “It is not a single measure that will ensure success… It has to be comprehensive, targeted measures that work in tandem,” he said. Cigarette smoke contains more than 7,000 chemicals, of which at least 400 are toxic to humans. 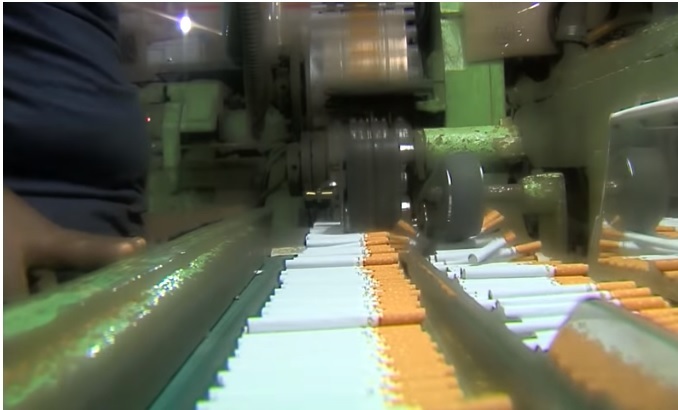 The laboratory has found that a cigarette sold here produces two to 725 times more poison than the limits found in other hazardous substances. Non-smokers are not spared, with at least 60 cancer-causing chemicals identified in second-hand smoke, the World Health Organisation has reported. Smoking is the second-highest contributor to the burden of diseases afflicting Singaporeans, killing an estimated 2,073 people in 2016. It causes heart attacks, stroke, cancer and chronic obstructive pulmonary disease. Smoking costs Singapore at least $600 million a year in direct healthcare costs and lost productivity. The top four transnational tobacco companies that are dominating the cigarette market in Singapore with more than 97% of market share are Philip Morris Singapore, British American Tobacco Singapore, Japan Tobacco International Singapore, and Imperial Tobacco Asia. In 2018, the number of shops plummeted to a new record in sold cigarettes and tobacco products. With the new restrictions, it will be trimmed down further. Evidently, the Singaporean tobacco market is continuously declining. The value of tobacco sales in retail has declined in 2018 that by 2021, the tobacco industry is expected to amount to only 165.9 thousand kg.